Jeannie was born in Columbia, S.C., but moved to Raleigh, North Carolina as a child and considers the Tar Heel state home. She completed her undergraduate education at Duke University and attended medical school at The University of North Carolina at Chapel Hill. She did her internal medicine residency at Carolinas Medical Center in Charlotte, N.C. and her internship at Pitt Memorial Hospital in Greenville, N.C. Her endocrinology fellowship with medical faculty appointment was completed at Duke University Medical Center. She is board certified in internal medicine and the subspecialty of endocrinology. She practiced endocrinology in Little Rock, Arkansas, for two years prior to moving to Atlanta, Georgia in 1988. From 1988 through June 2000 she was in an internal medicine and endocrinology practice on the north side of Atlanta. She earned her medical radioactive license in 1993 and is experienced in radioactive iodine treatments for hyperthyroidism and thyroid cancer. Jeannie moved to Carteret County in 2000. After group practice for 4 years, she decided to branch out on her own and co-founded Diabetes & Endocrinology Consultants, now Lucas Research with her husband, Seth. She loves involving her patients in clinical research. She lives in Morehead City with Seth and 3 gray cats, Kona, Puna and KoKo. She enjoys travelling to beautiful places all over the world. As doctors go, Jeannie is one of the very best. We are so lucky to have such a talented, fun, and humble one to work with on a daily basis. We wouldn’t trade her for the world!! Brooke grew up in Morehead City, NC and attended North Carolina State University for her Bachelors in Science Education. 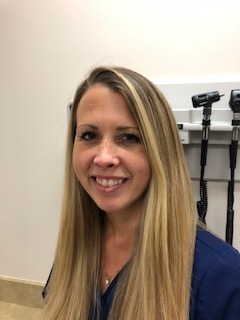 She joined Lucas Research for the first time in August 2010 as a part time and temporary research assistant while she completed pre-requisites for East Carolinas Alternate Entry Masters of Nursing program. After a one-year work hiatus and one year of accelerated nursing school, Brooke earned her RN in August 2012. Brooke has also recently earned her master’s degree and now is a Family Nurse Practitioner. She is married and lives with her husband Chris and dog Cooper in Morehead City. She loves animals and anything to do with the sun and water. You will not find a more dedicated or harder worker than Brooke. She never seems to drop the ball! We are starting to think she has magical powers! Justin moved to Morehead City in 2009 from Wilmington. Before going into the medical field, he worked in the construction industry and then decided to go back to school to pursue medicine. 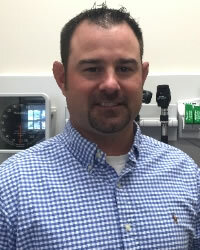 He graduated in 2014 from Wingate University with a master’s degree in Physician Assistant Studies. He earned his undergraduate degree from Pfeiffer University where he also played baseball. Justin came to Lucas Research after working in the Onslow Memorial Hospital Emergency Room. Wanting to be closer to home, Justin applied for a clinical research position at Lucas Research and here he is! He’s married to Paige Strickland and they have a son named Chatham and a chocolate lab named Allie. Justin enjoys getting to know patients and building strong relationships to better understand their needs. Oh, and he also loves to fish and play sports, including golf! Justin is up for any challenge and has quickly proved to be a rock steady member of our team. Nothing phases him and we love that about him!